Equity.Guru’s Chris Parry and his expert journalism team talk to business leaders, executives and investors about opportunities in North America and beyond. Rift Valley Resources (RVR.C) is taking internet connectivity to rural America through an ingenious network that utilizes TV white space and its established broadcast infrastructure. United States, with substantial coverage of rural areas. When complete, this network will be capable of servicing approximately 100 million people in the U.S., representing nearly 33% of all American households. Rift Valley CEO, Griffin Jones spoke with Equity.Guru's own Chris Parry to give him the lowdown on the company, it's potential as an rural internet service provider and what investors can expect over the next 12 months. Full disclosure: Rift Valley is an Equity.Guru marketing client. When Canada legalized recreational cannabis in October 2018, Canada’s LPs may have thought the hard part was over. Unfortunately, regulation surrounding the advertisement of cannabis makes the prospect of ‘brand-building’ through traditional means a near impossibility. But Westleaf Cannabis (WL.V), one of the few truly integrated cannabis companies operating above the 49th parallel, has developed a means of carving out a consumer base through an initiative known as Prairie Records. With a unique and innovative method of reaching their demographic, the company aims to not only help erase the head shop stigma of selling legal weed, but to secure Westleaf as a provider of premium craft cannabis for the discerning Canadian cannabis connoisseur. Equity.Guru’s Chris Parry spoke with Westleaf CEO, Scott Hurd, to get an inside look at the company, Canada’s cannabis retail sector and the potential the company holds for investors over the next 12 months. Launching a beverage line isn’t easy. Launching a cannabis-infused beverage line in California, a notoriously challenging market for newcomers, is even harder. Frequent regulatory changes were an undeniable obstacle, but companies like Tinley Beverage Company (TNY.C) managed to take it on the chin and keep moving forward. Full disclosure: Tinley Beverage Company is an Equity.Guru marketing client. Legal cannabis has had a wild ride on the public markets: while some cannabis companies were being valued at 20x sales, operators in other sectors like energy and resources saw their market caps shrivel. Now that cannabis is teetering on the edge of correction and oil is making a modest price comeback, investors have a place to throw their hard-earned dollars that won't shrink their investment by 50% in case short sellers finally prove the cannabis sector, like the proverbial emperor, isn't wearing clothes. Companies like Permex Petroleum (OIL.C) are geared up for the next energy supercycle, having utilized the downturn to pick up some tasty distressed properties on the cheap. Combine that with the company's on-going oil production and you have a small cap junior with lots of room to move up the boards. Equity.Guru's Chris Parry spoke with Permex CEO, Mehran Ehsan, to get a closer look at the company's assets, the energy sector, Canada's unique predicament when it comes to oil exploration and where investors can expect the Permex to move over the next 12 months. Full Disclosure: Permex Petroleum is an Equity.Guru marketing client. Lifestyle Delivery Systems (LDS.C) is a United States-based manufacturer of cannabis edibles. The company has had its share of hard knocks establishing a presence in the legal California cannabis market and has had to answer for a string of missed milestones. Many of the hiccups can be attributed to California's ephemeral cannabis legislation which continued to change considerably after legalization, often without warning and without an ounce of understanding for the companies in the space. However, hard questions for the company's management still need to be asked. 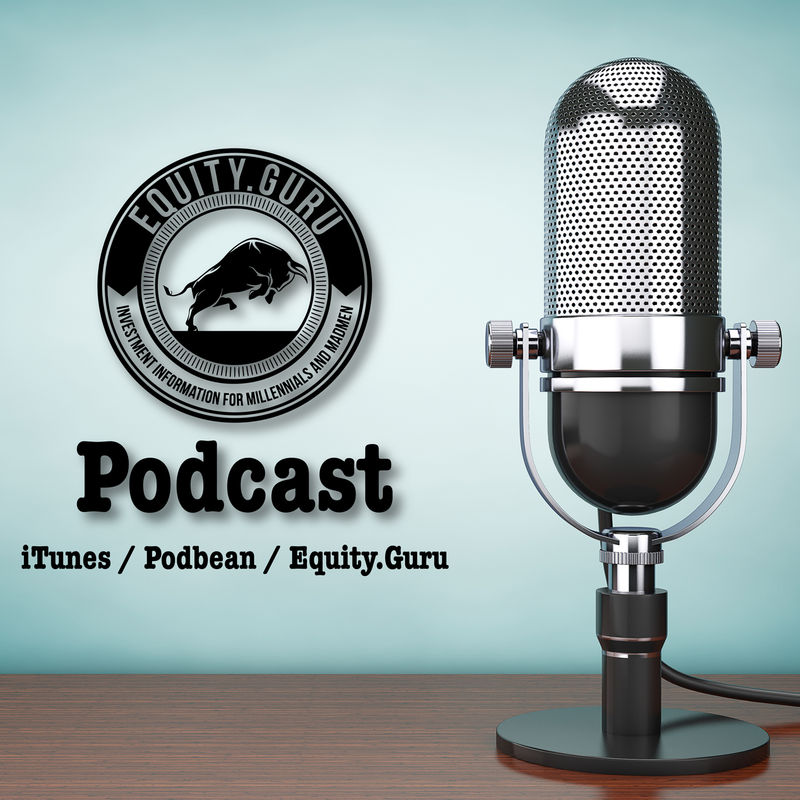 Equity.Guru's Chris Parry spoke with Brad Eckenweiler, LDS CEO, to provide an explanation for past activities, an outline for what LDS is doing now and a map of where the company intends to head over the next 12 months. Blue Sky Uranium's (BSK.V) is a uranium and vanadium-focused exploration company based in Argentina. The company's Ivana property in southern Argentina hosts a near-surface uranium deposit containing 28 million pounds of U308 and 11.5 million pounds of V2O5. Nuclear power, and uranium in particular, is an integral part of satisfying the enormous amounts of electricity demanded by countries like China and the United States. Fukishima notwithstanding, nuclear power alleviates most environmental concerns surrounding traditional coal-powered generators and hydro-electric dams. As such, Blue Sky is leveraging Argentina's developed resource sector. The South American nation's mining-friendly legislation and Ivana's robust economics combine to deliver what the company feels is a low-cost, near-term uranium producer with additional potential vanadium credits. Equity.Guru's Chris Parry spoke with David A. Terry, director at Blue Sky Uranium, to get details on Blue Sky, its Argentinian portfolio, the current state of the uranium market and what the junior explorer plans for 2019. Pasha Brands is a private prohibition era brand house on a mission to become the leading purveyor of premium craft-style cannabis products in Canada’s legal cannabis sector. With an expert management team which has an established track record in the legal cannabis sphere, the company is on track for a public listing to power its expansion plans above the 49th parallel. Equity.Guru’s Chris Parry spoke with Pasha CEO, Patrick Brauckmann, to get a bird’s eye view of the company, Canada’s legal cannabis market and Pasha’s plans for 2019. Blockchain Foundry (BCFN.C)–one of the last companies standing in blockchain space–is not only surviving but thriving. Equity.Guru's Chris Parry spoke with the company's CTO, Jag Sidhu, to get a handle on Blockchain Foundry, a readout of the blockchain sector and a map of the road ahead for the company and its shareholders. The honeymoon for cannabis is over. Square feet and production capacity mean nothing unless you have someone to sell your product to and most LPs haven’t successfully made it to that stage yet. Biome Grow (BIO.C) has moved on from the world of promises and purchase orders to secure real and sustainable revenue streams by signing strategic offtake agreements with the likes of the Province of Nova Scotia. Biome CEO, Khurram Malik, spoke with Equity.Guru’s Chris Parry to give an inside view of the company and its prospects in the emerging legal cannabis markets both in Canada and abroad. Jericho Oil (JCO.V) spent the last five years securing distressed assets in the state of Oklahoma, a state which produces 16% of America’s total crude output. Oklahoma also plays host to the lucrative Sooner Trend Anadarko Basin Canadian and Kingfisher counties (STACK) play. The oil market continues to run rough with WTI Crude prices settling at $56.97 per barrel, down 22% from $73.03 back in September 2018. Brian Williamson, Jericho CEO, said he feels that even with the depressed market, Jericho still has a chance generating profitable production rates from the company’s highly-prospective unconventional oil plays. Equity.Guru’s Chris Parry spoke with Brian to get the lowdown on Jericho, its Oklahoma STACK assets and what lies ahead for 2019. Full disclosure: Jericho Oil is an Equity.Guru marketing client.